You don’t have to be a wine enthusiast to appreciate the fun home decorating possibilities of a wine theme. 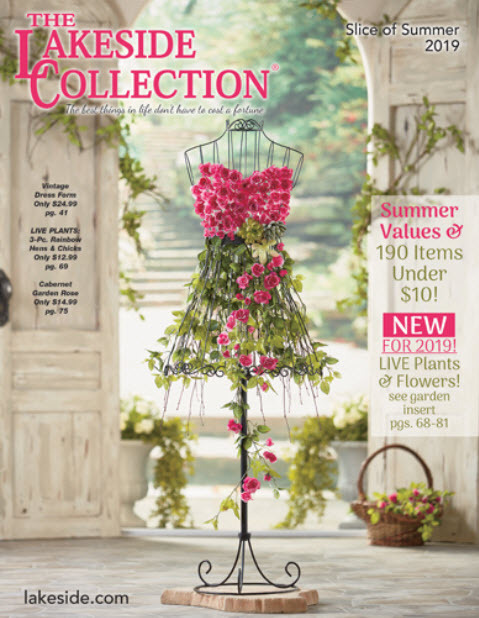 From repurposing corks and wine bottles to create a design all your guests will envy to personalized gifts to please your generous host or hostess, Lakeside is filled with wine decor products everyone will appreciate. 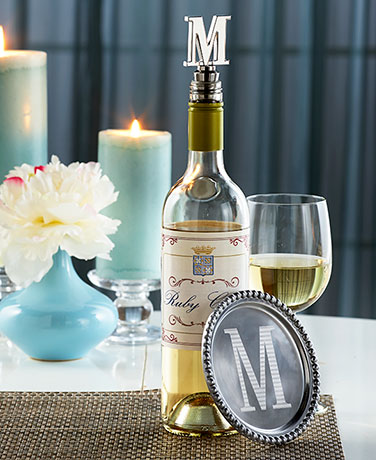 The Metal Monogram Wine Cork-Holder adds a distinctive look to your dining room or kitchen, especially when you fill it up with the corks left over from your favorite wines. Just start from the bottom and try to fill up the entire letter. 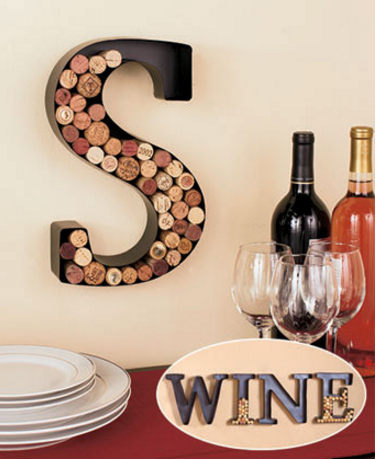 Get multiple letters to spell out your name or wine-related words for a truly unique design. As long as you’re reusing your corks, why not reuse a wine bottle too? 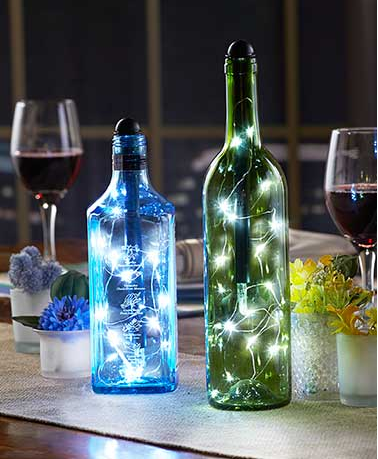 Light My Bottle adds a dazzling touch to your tabletop. Simply thread the 42″ light string through the top of any bottle that’s at least 9″ tall, place the pole inside and click the on/off switch on the top to watch the 15 beautiful fairy lights illuminate the interior. 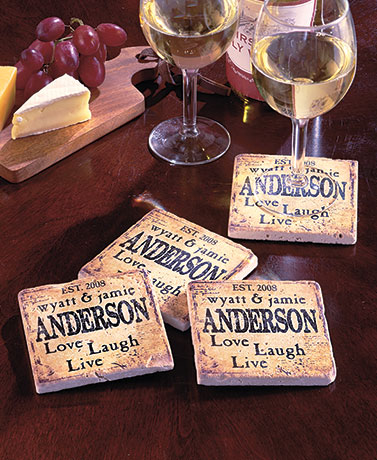 The Set of 4 Personalized Travertine Stone Coasters makes a great gift for almost any occasion, but it’s the ideal gift for a wine-tasting or dinner party. Each stone coaster protects your table surfaces from water rings. The cork design on the bottom helps prevent scratches. Personalize the coasters with the recipient’s name. Monogram Wine Gift Set makes it easy to add a thoughtful, personal touch to that wine-tasting, dinner party, housewarming, birthday or wedding. The classy gift set comes with a metal coaster and wine stopper. Each piece has an identical monogram worked into its design, and comes in a stylish box that’s ready for giving. 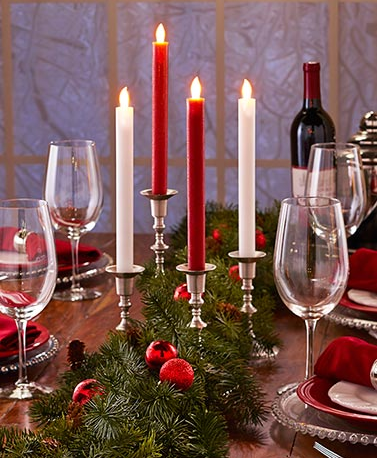 Add a romantic touch to your decor or set the scene for an elegant party with Set of 2 LED Taper Candles. Each candle has a wax coating and gives off an amber glow that looks beautiful in a floral arrangement or centerpiece. Timer lets you set the candles to automatically turn on at a desired time and off after 6 hours. 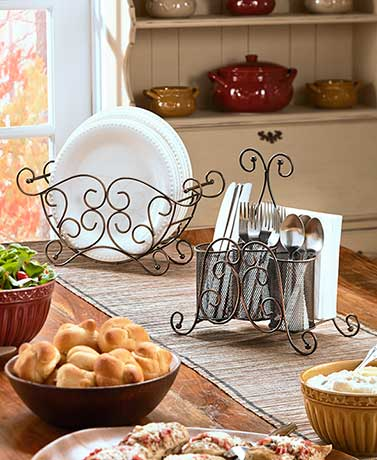 Organize the eating necessities on your tabletop with an elegant Buffet Caddy. Each caddy features a lovely scroll design that complements existing decor. The Plate Caddy provides quick, easy access to plates, while the Flatware & Napkin Caddy has 3 separate sections for utensils and an open space for holding napkins.